Di-SEGNU +SOUL COLLECTION by Michael Schoeller is a collaboration between italian handmade craftsman ship and American design. Hand made to order in Italy, with luxurious materials including olive wood a local material to the region. All designs can be custom sized and we many beautiful finishes are available. 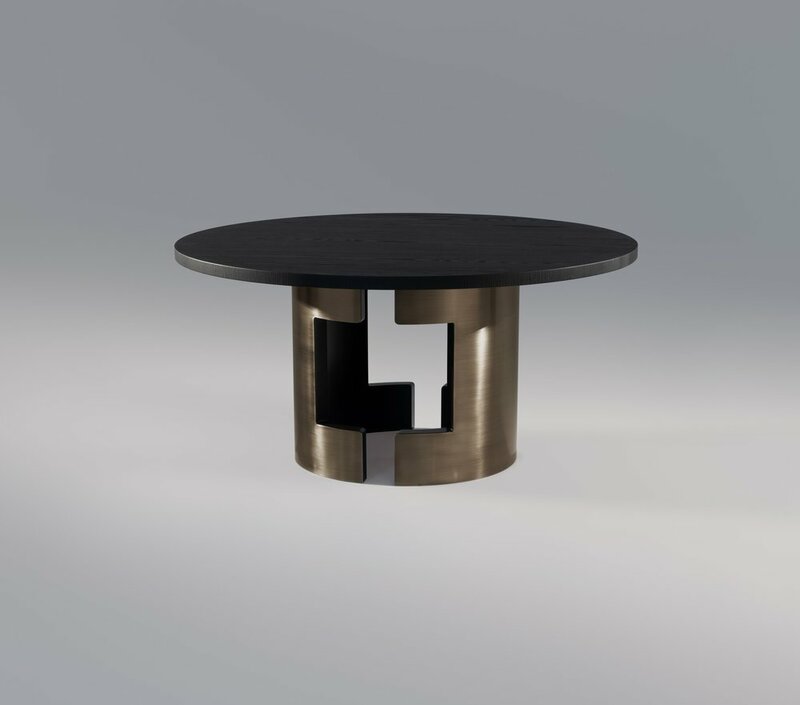 Table has burnished brass outer layer finish with a charcoal gray laquered wood interior finish and an ebonized ash wood top.